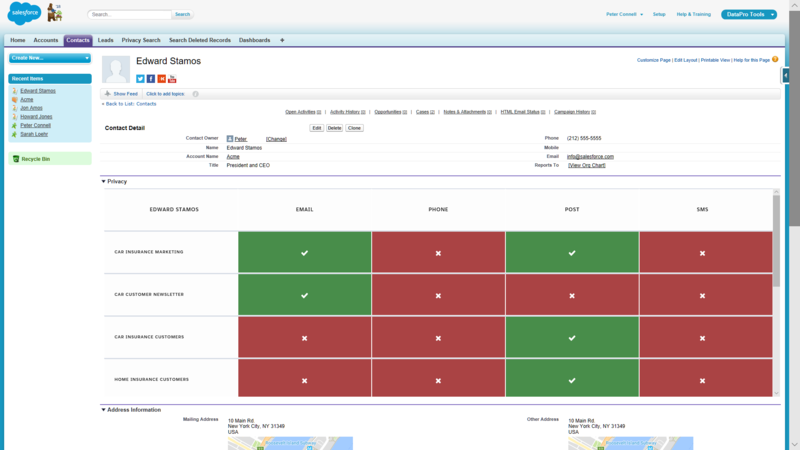 DataPro Tools is a Salesforce App available on AppExchange to help manage consent and other GDPR requirements. The General Data Protection Regulation states that every contact within your database must have a lawful reason for being there. As well as a reason for storing a contact within a database you must also have details as to which channel and category they would like to be contacted through. When a Contact or Lead record is deleted the system stores an audit trail version of the main details that cannot be accessed. 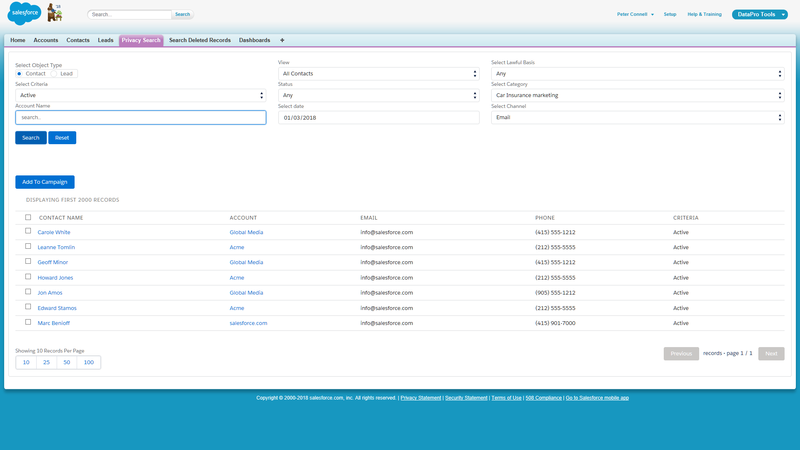 Ability to search for Contacts or Leads by privacy criteria. This means it is possible to select all records that have a lawful basis for a certain category and channel on a certain date. 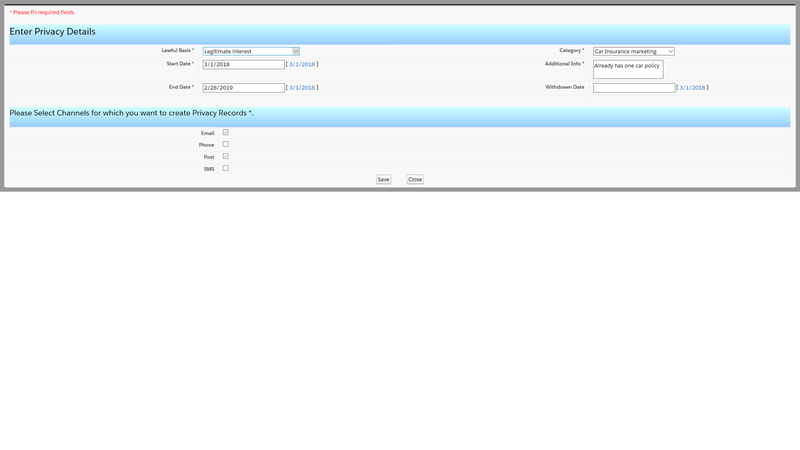 Also it is possible to select those records that will have an expired consent at a certain date. This enables data controllers to instantly find out which type of channel they can use to contact their customers. 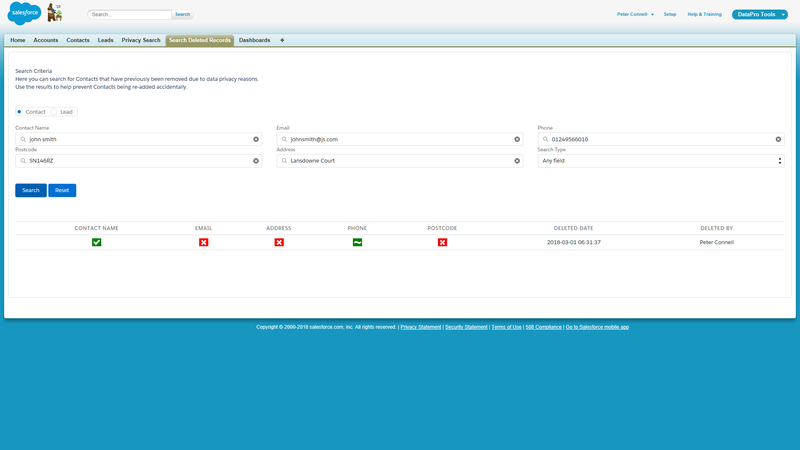 Displayed within the account view in an easy to follow table, green boxes indicate which channels customers can be contacted by, where as red boxes show the channels they wish not to be contacted by. Having searched for records that do not have a lawful basis, the bulk delete option should then be used as it is not possible to justify storing or processing that data. For a newly imported data list, or legacy data that does not have any privacy details, it is possible to update unlimited records at the same time with the same details.